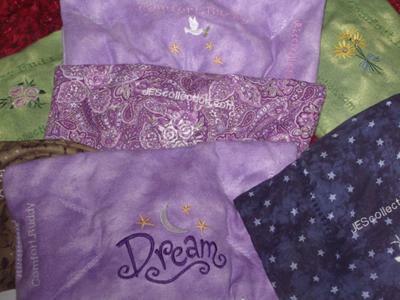 I have a line of natural organic products and we have custom made Comfort Buddy Herbal Relax Wraps beautifully designed with embroidery art and decorative stitching. Comfort buddy herbal relax wraps are great for aches/pains, relaxation, sinus congestion, eye puffiness and many other uses. Use hot or cold. Many shapes and sizes to choose from. Personalization available for yourself or for gift giving. JES Natural Organic Vegan Skin Care - Best quality natural organic skin care. Our first ingredient is organic aloe vera! We do not dilute our natural organic skin care products with water! We do not pollute our natural organic skin care products with parabens or other toxic chemicals! Fred 208-325-9292, www.JEScollection.com. Can travel within approximately 100 miles. Prefer events around Boise, Idaho.